Description : Here we have an original full-size super scarce HBO Boxing pay-per-view poster for the WBA Middleweight Championship showdown at Madison Square Garden New York. 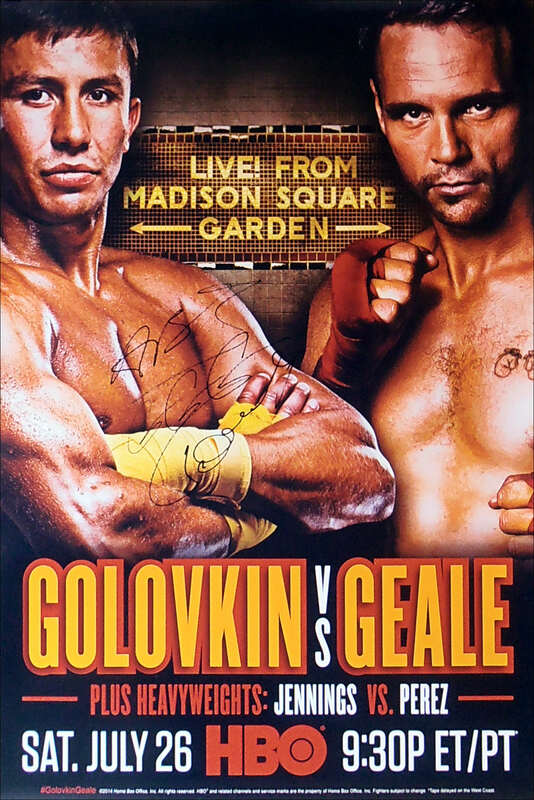 This poster has been signed by the reigning WBA middleweight champion Gennady Golovkin. Golovkin retained his middleweight world title for the 11th time as he blew away former middleweight titleholder Geale in the third round for an explosive ending to yet another dominant performance. Geale was supposed to represent the stiffest test of Golovkin's career but proved no test at all. Golovkin (30-0, 27 KOs) dropped Geale (30-3, 16 KOs) in the second round and then dusted him in the third with a right hand. Geale made it to his feet, but he was all over the place on unsteady legs, and referee Michael Ortega stopped the fight at 2 minutes, 43 seconds. Golovkin scored his 17th knockout in a row and has not had to go the distance since winning an eight-round decision in 2008. These HBO & Showtime PPV posters are not made available for public consumption & can only be sourced from a participating PPV outlet hence the scarcity as once the televised event if over, then these posters go straight to skip. 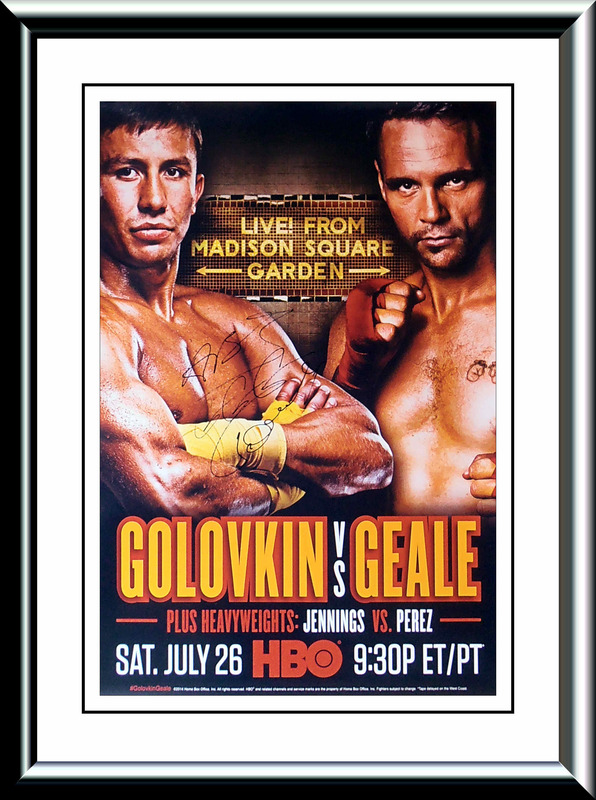 This authentic Gennady Golovkin autographed HBO boxing pay per view poster comes with a letter of guarantee of authenticity from KOfightposters.com for a lifetime & beyond.